"Quite literally a delicious taste of the PNW, the mineral content and minimal processing gives a depth in flavor not found in most sea salts. Enjoy Washington's only locally produced salt." San Juan Island Sea Salt is a unique signature of the beautiful island waters, capturing the essence of the San Juan Islands in an unctuous seasoning. 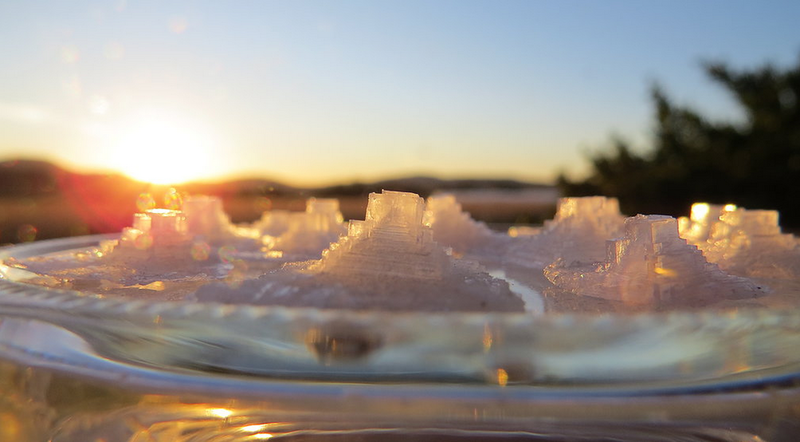 This local salt is dried sustainably, relying only on the sun to transform seawater into delicious sea salt. Brady grew up surrounded by the sea that is now the center of his newest innovation on San Juan Island. Brady is a true maker at heart. When he's not sustainably harvesting salt from the Salish Sea, he's working with the Ballard Bee Company in Seattle learning the age-old craft of honeybee tending.